Did you know that the rate of plastic wastage is growing by 9% every year? Or that since the beginning of plastic production, at least 8.3 billion tonnes of plastic is estimated to have been produced. From this, at least 6.3 billion tonnes of plastic can be considered waste, with almost 80% of this in landfill or the natural environment. With the current rate of production for plastic, it is thought that there will be 12 billion tonnes of plastic within landfill by 2050 – and given that it takes a single plastic bottle 450 years to biodegrade, it’s questionable whether there will even be space for all this waste (especially given that 20,000 plastic bottles are sold every second globally!). 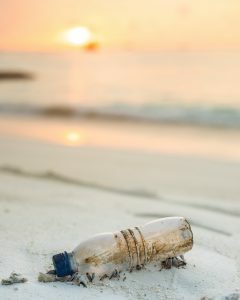 Not only that, but the spread of plastic is moving into our oceans, and plastic now outnumbers sea life by six to one. 90% of the pollution found floating in the ocean is plastic, with 46,000 pieces per square mile. That’s an extra 10 million tonnes ending up in the sea each year, spanning the size of Texas in mass. It’s been found that due to the tiny fragments of plastic that float around the ocean, all sea turtle species now contain some plastic in their system or around their body. We want to help change all this at Orchid Telecom as much as we can. We are committed to playing our part, however big or small, in reducing plastic waste and helping the environment. To this end, we are phasing out plastic packaging in all our products and encouraging others within the telecoms industry to do the same. Instead of using plastic bags and polystyrene inserts to protect the products, we are now switching to tissue paper and cardboard. We hope that our customers will also recycle these to help continue the life-cycle of these products, and continue the process of looking after the environment. Now when you open one of our telephones or PBX systems, all the packaging will be completely recyclable with nothing going to landfill or being detrimental to the wildlife on our wonderful planet. We expect to be completely plastic-free within 12 months, and will continue to look at ways to improve our footprint on this world.